Two rats with a teddy! 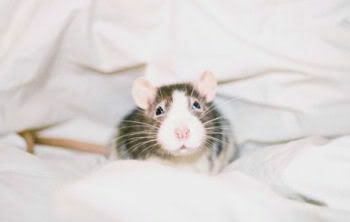 Tags: rats, the cute! it burns! OMG. *dies* Where did you get those pics? (The rats with stuffed bears, obviously, not the Hamlet one. Haha). I mean, I know where you got the Hamlet one. It is cute, though. OMG, I am going to go die of the cute now. I've always wanted a rat! My mom doesn't like them though and I have cats D: But sooo cute!